Every Wednesday and Saturday Mornings! For beginners to advanced stitchers. (Yep, that’s everyone!) Please register ahead of time for these sessions! Whatever level you’re at with your seed bead stitching, you will love these sessions with our experts. 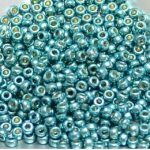 It’s time to schedule for yourself to bead! Enjoy dedicated beading time each week with other bead-minded people! Wednesday sessions are from 9-noon, and start before the shop opens at 10. Attendees get dedicated time with Gail from 9-10, then as time allows as she tends shop. Wednesday sessions are $10. Saturday sessions are from 10:30-1:30, and attendees get three hours of dedicated time with Ann, and sometimes Gail when Ann is not available. Saturday sessions are $20. Please note: these sessions cover bead stitching, bead weaving, and bead embroidery. For help with stringing, pearl knotting, and other techniques please ask our staff or take a look at our other class offerings. Gail DeLuca, the owner and resident expert of all things beady. If you haven’t met her yet, you’ve probably seen her on JTV where she teaches a variety of beading techniques. Ann Page has been beading for most of her life. She also appears regularly on JTV’s Jewel School, and is a juried member of the Foothills Craft Guild. Occasionally when Gail is traveling you’ll get expert help from Michelle, who has been beading at White Fox beads since 2006. Please register ahead of time for these sessions! *Nominal charge may apply for hard copies of patterns to cover print costs. Some patterns are not available for digital distribution. **Instructor may change without notice depending on individual schedules.